Important: Determinations of remission eligibility have not yet been issued. The DOJ, FTC, and the claims administrator will NOT request petitioners pay any money to the administrator or anyone else in connection with the petition for remission process. If you receive such a request, it is fraudulent and should be directed to info@westernunionremission.com. Update April 10, 2019. Over 38,000 deficiency letters were mailed to petitioners in the United States on March 29, 2019. One or more of the following deficiencies were identified on petitions filed by those who received a letter: 1) the petition was unsigned; 2) a taxpayer identification number, such as a social security number (SSN) was not provided; and/or 3) sufficient supporting proof or documentation for some or all of the claimed amount was not provided. Responses to letters mailed on March 29, 2019 must be postmarked by April 29, 2019. If you wish to submit your response via email, it can be submitted to : info@westernunionremission.com . The amount indicated in your letter that lists your proof of loss is your current eligible loss amount. Update September 10, 2018. Over 180,000 petitions have been received in the Western Union remission process. The claims administrator is currently reviewing and evaluating all submissions to determine eligibility. If your petition is deficient, the administrator may contact you by mail to explain the deficiency and seek additional information. After the petition review is complete, recommendations will be provided to the Department of Justice for final decisions. Due to the large volume of petitions submitted, it is anticipated the petition review process will continue into 2019. Payments cannot be issued until all petitions are reviewed. Click here for interactive maps that show the number of remission submissions by state or by country. Please hover your mouse over a state or country to view the count of remissions submitted. Please note that these numbers only reflect a count of remissions and do not indicate eligibility. After the Department of Justice issues decisions, additional maps will be provided that indicate approval amounts by state and country. Update June 1, 2018. The deadline to submit Petitions for Remission was Thursday, May 31, 2018. Gilardi will continue to accept Petitions, but late filings will be subject to review at a later date and at the sole discretion of the Department of Justice. However, if you receive a petition from Gilardi in the future, please check the deadline on the petition you receive as it may have been extended. UPDATE: The remission process for the Western Union case has now started. Over 500,000 petitions have been mailed to identified victims and include instructions on how to file a petition. The petition can be filed electronically using the Claim ID and Pin included on the letter, or mailed to the address listed on the petition. If you do not receive a petition in the mail, you can file online here. An example of the Remission Form and envelope mailed is available here. 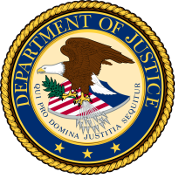 On January 19, 2017, The Western Union Company (Western Union), a global money services business headquartered in Englewood, Colorado, agreed to forfeit $586 million and entered into agreements with the Justice Department and the Federal Trade Commission. In its agreement with the Justice Department, Western Union admitted that it violated U.S. laws—The Bank Secrecy Act and anti-fraud statutes—by processing hundreds of thousands of transactions for Western Union agents and others involved in an international consumer fraud scheme. As part of the scheme, fraudsters contacted victims and falsely posed as family members in need or promised prizes or job opportunities. The fraudsters directed the victims to send money through Western Union to help their relative or claim their prize. The Department of Justice hired Gilardi & Co., LLC to serve as the remission administrator in this matter. If you believe you were a victim of the fraud described above and you made a wire transfer through Western Union between January 1, 2004 and January 19, 2017, you may be eligible for remission. Si necesita el formulario de petición en español, por favor haga clic aquí.